Recent night-time weather has n`t really been conducive to trapping, but there are moths around as Chris and Steve have ably shown. Last night`s forecast suggested some broken cloud cover, so out went one garden actinic. Just 11 species were present this morning (but no micros) and nothing particularly mention-worthy, though lunar marbled brown was a FFY for me. Above: last night`s (31/3) lunar marbled brown. I would have been content with 'just 11 species' Ian! 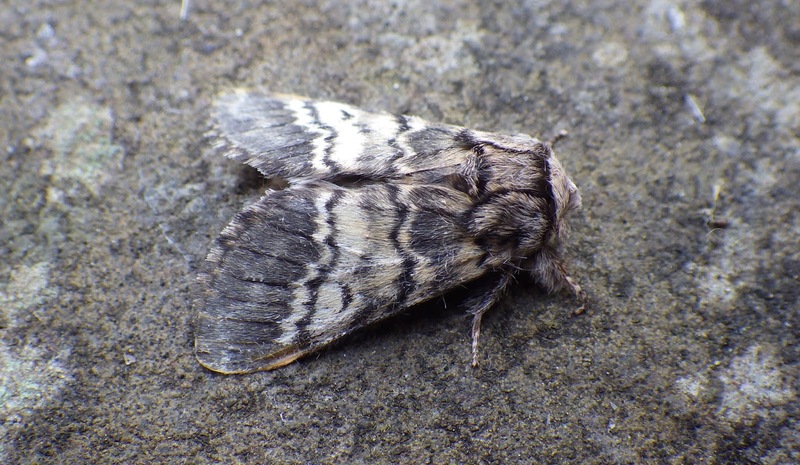 I had plenty of moths on Friday and Saturday nights but only recorded 16 species, Jane did very well to get 18.